There’s only one way to know whether or not dental implants are the right tooth replacement solutions for you – visit the Bullard dental office of Tad Morgan, DDS for an implant consultation. Dr. Morgan will complete an assessment of your oral health, whole body health, and treatment history to ensure you have a high likelihood for successful completion of dental implant tooth replacement. During your dental implant consultation, the most basic determining factor will be oral health. If you have suffered with gum disease or lack adequate jawbone density to support dental implants, you will likely not be a good candidate for dental implants. If you determine that dental implant restoration is the right treatment for you, preparatory services will be necessary. For gum disease sufferers, advanced periodontal therapy and/or soft tissue grafting will be necessary. Patients who need additional jaw bone density will likely need a bone graft prior to implant placement. In addition to reviewing your oral health, we’ll also need to discuss any chronic or systemic illnesses and past surgical procedures. Patients who suffer from chronic illnesses like diabetes that impede immune function, may not be ideal candidates for dental implant restoration. Additionally, if you’ve had an adverse reaction during past surgeries, the placement of dental implants may not be a safe option. Unlike other tooth replacement solutions that are completed in a few visits over the course of weeks or a month, dental implant restoration takes time. It’s important to remember that most of this time is not spent in the dental office. Following the placement of your implant posts, you’ll need to care for the surgical site at-home and visit for more frequent checkups over the next three to six months. However, the majority of this treatment time is completed at home. 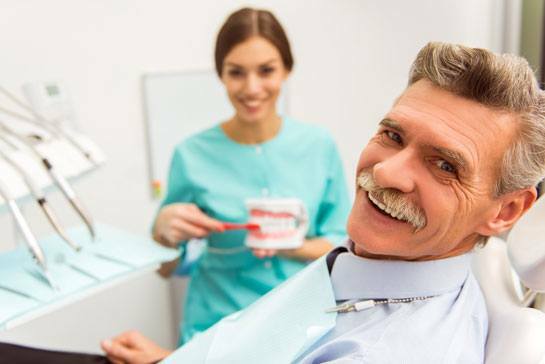 You will need to consider your necessary time commitment to caring for your smile before, during, and after dental implant restoration. If you don’t have this time, dental implants may not be the best treatment for you. The cost of dental implant tooth replacement can be higher than patients assume. However, these tooth replacement restorations last much longer than other, more affordable solutions, so the added cost on the front end actually leads to money saved over time. We’re happy to work with CareCredit to provide low and no interest financing plans, and our knowledgeable team members maximize your dental insurance coverage. Contact our team to find out more about treatment costs or to schedule your one-on-one dental implant consultation today.